Transform a block of tofu into crumbly feta-style cheese in two days! This is one of my top-searched recipes. If you’re coming here for the first time, please take a look around. 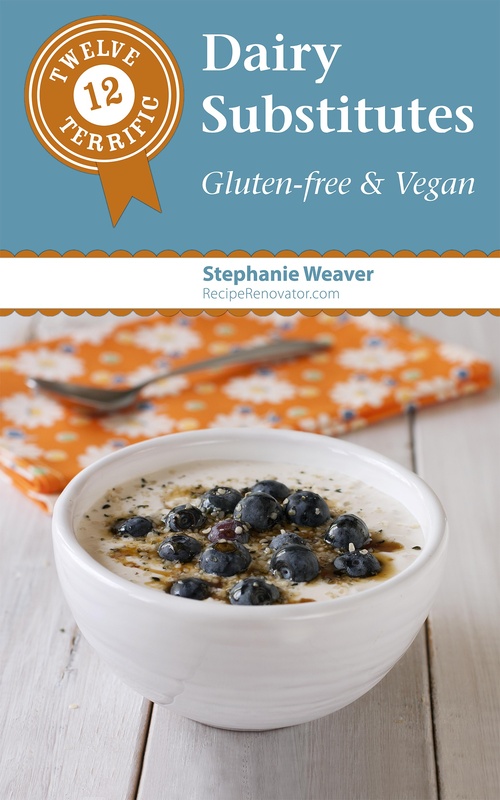 I have more than 350 recipes, many of them plant-based and/or dairy-free. It takes about two days to make this tofu cheese, but it’s well worth the wait. The method couldn’t be easier, and the finished product can stand in for blue cheese in this iceberg wedge salad, feta in this spinach salad as well as fish sticks in vegan fish tacos. Want more great dairy-free recipes? 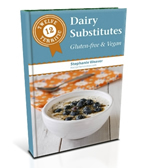 Check out my Twelve Terrific Dairy Substitutes, available on Amazon Kindle. One of the coolest things about having a food website and being a health coach is that it opens up your world to new people, people you probably would never meet otherwise. One of these cool people is a San Diego musician, voice-over actor, and vegan named Jeff Smith. Learn more about Jeff on his website. After running into Jeff at Trader Joe’s (in the tofu aisle, where else?) Jeff told me that he was fond of making “cheese” from their super-firm tofu. After trying it a couple of times to make sure I understood the process, I’m sharing his recipe with you. Jeff’s wife Sally has a great recipe for vegan tartar sauce here, with some more suggestions on how to use the tofu cheese. 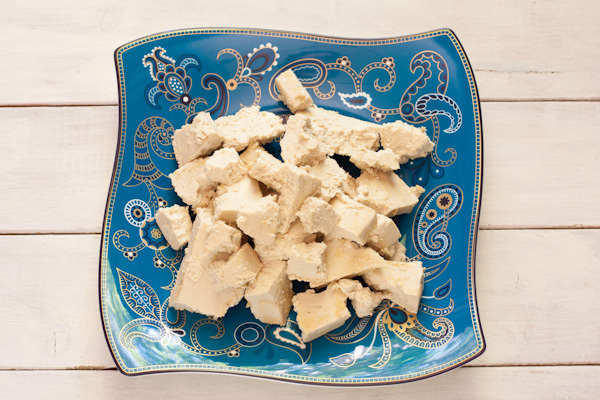 Transform a block of tofu into crumbly feta-style vegan cheese in two days! The tofu's firmness depends on the type of coagulant used and how it is pressed. Slice the block of tofu lengthwise into thirds as evenly as possible, to make 3 slabs. Spread a thin layer of miso paste on all sides of each piece, and then lay them in a container with some space between them. Cover loosely with waxed paper. Let sit out on the counter for 24 hours. In hot weather (above 75F/24C), the cheese may be ready in one day. In cooler weather, it takes two or three days. The miso paste, a fermented product generally made from soy beans, ferments the tofu, changing its texture and color a bit as well. The way to check for doneness is to taste it, scraping off the miso first. If it no longer tastes like tofu, but instead has a crumbly, feta-like texture and taste, it's ready. You may get some mold growing on the outside, which is natural. Before eating, scrape or wipe off the miso and discard it. Refrigerate it with the container covered when it's done, and use within a few days. Scrape off the miso marinade before eating. If it gets slimy, just rinse off the slime, but eat it up right away. I have to admit that I was a little scared to try making this, because I've never made fermented foods. But Jeff assured me that he's been making fermented foods like sauerkraut and pickles for many years, has never gotten sick, and the health benefits of these vital and energized foods are very great. Sadly for me, fermented foods are a migraine trigger so I no longer make them myself. I take a daily probiotic (100 billion) instead. Another blogger at Rauom.com previously provided a recipe to making tofu-misozuke, which is the version of this that is made in Japan, except it's fermented for at least two months to create a creamy product with the consistency of blue cheese. I have now made this as well, and it's worth trying: my recipe for tofu misozuke. 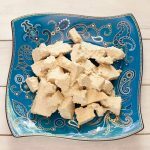 Do you cook the tofu cheese before eating or can you eat it raw? Maybe this is a totally silly question, but do you wipe the miso off before eating, or leave it on (assuming there’s no mold)?? Hi Julia, there are no silly questions… yes you scrape off the miso marinade before eating it. Thanks! I have to buy some sake and then I will try my hand at your recipe and report back! Great, Julia, good luck and keep us posted! I just found this site while doing a search for miso recipes. This sounds really great. I can’t wait to try it. Miso seems to be so healthy and I love the taste. Thanks. Hi Sharon and welcome! Miso is a fantastic fermented food. I have other recipes for fermented foods too… sauerkraut and kombucha. Thanks for taking the time to comment. I’m on day two! It’s still rather moist – not crumbly, but it tastes a lot like cheese to me! I haven’t had cheese in 20 years, but still – I think I remember. It’s a bit like cheddar, I think – but the texture is still pretty tofu-like. Great. It cultures much faster in warm weather. If you see mold, scrape it off and put it in the fridge. Enjoy! I am going away for four days and started to make this recipe today. Can I leave it for fours days and it will still be edible when I come back? I would put it in the fridge while you are gone, then you can ferment it further when you return. I would not leave it unattended 4 days in the summer or it may mold when you return. I’m a little late to the party, but I had to tell you how cool this is! I can’t believe how different the tofu tastes. I’m in San Diego too, near the coast, so with June Gloom it did take awhile. I was a little tentative to try it because of it sitting out for almost three days, but it tastes great. I’m going to try the falafel sliders in Chloe Coscarelli’s new book. I think it’ll be perfect with them. Thanks so much! p.s. I have it in the fridge now. How long do you think it’ll keep? Thanks Janet! It keeps for about five days, although you have to watch for mold growth. In that case, just scrape that part off, just like you would with cheese. Are you making a tahini sauce for the falafel or using this in the falafel? Keep me posted! Hi there, I have a question about this recipe. Can the container only be covered with wax paper or is it okay to use other things? Hi Mimi, you could use parchment paper or a paper towel. Waxed paper is good because it doesn’t stick and you can easily wipe it clean. You could use a clean kitchen towel as well. The important thing is that you want it to be able to breathe, as the air circulation and oxygen feed the fermentation process. You don’t want to seal it up, and it gets dried out fairly quickly if it’s uncovered. Let me know if this answered your question and thanks for reading! Wow, thanks so much for the link! I am just now getting introduced to fermentation processes, so this is really fun to discover. I’ll make sure that Jeff (the friend who started me on this path) gets your link as well. Please visit often. Laura, you are so welcome. Please come back and report on how your “cheese” turns out, and if you have any other ways of using it.